SALT LAKE CITY — Church of Jesus Christ of Latter-Day Saints President Thomas S. Monson announced during Sunday morning’s session of General Conference that Pocatello, Idaho will be the site of one of five new temples. The announcement follows weeks of renewed speculation after the city annexed a substantial parcel of land adjacent to an existing church building on the Highland bench. However, the specific site of the new temple has not been announced. 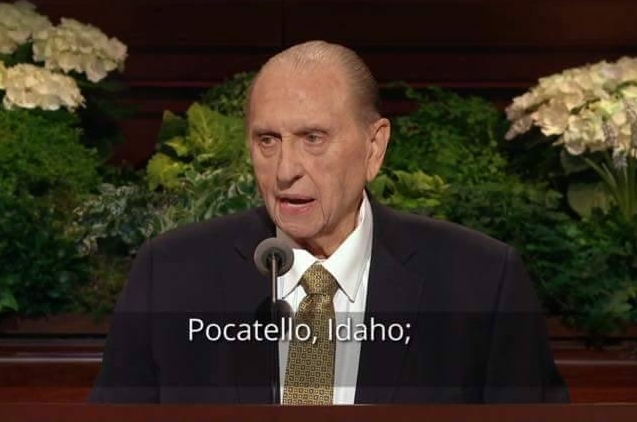 President Thomas S. Monson announcing the addition of five new LDS Temple locations, including Pocatello, Idaho. 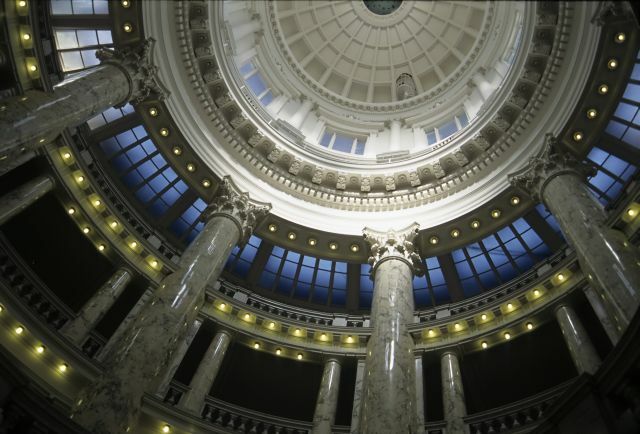 There are currently four operating temples in Idaho: Rexburg, Idaho Falls, Twin Falls, and Boise. A temple is soon to be dedicated in Meridian. Once completed, the Pocatello temple will be the sixth operating temple in Idaho, home to approximately 450,000 members of the faith. The announcement precedes only by three weeks the beginning of a month-long open house for the temple in Idaho Falls, which will be re-dedicated on June 4th. The other four temples announced sunday morning will be built in Brasilia, Brazil; Nairobi, Kenya; Manila, Philippines; and Saratoga Springs, Utah.